I think she’s got at least 100 blog posts that mention “The Frug.” Anyway, I thought, “why do I deserve this nickname?” By all appearances, we are certainly not that frugal. In fact, I believe we spend more than most families on what I call “family T&E” or as SuperK calls it “Family Fun Time.” (I think she is being sarcastic, but what do I know?) It’s our biggest budget item. This blog is mostly about our journey from spending on “stuff” to spending on adventures. Regardless, the name stuck so I decided to really start living it. 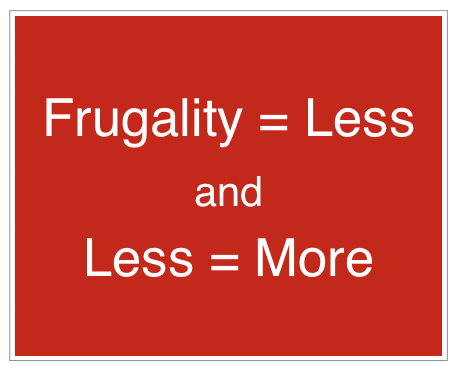 A few years ago, I registered the domain name “thefrug.com” but never got around to starting the blog as I was too busy dealing with, you guessed it, “stuff.” I think when most people hear the word frugal they think of a penny-pinching coupon clipping recluse. I’d like to redefine the term. The formula is pretty simple, by consuming less we free up time and money to spend on life’s experiences, instead of stuff. And if we can develop lean spending habits for travel, for work, and for life in general, everyone benefits. 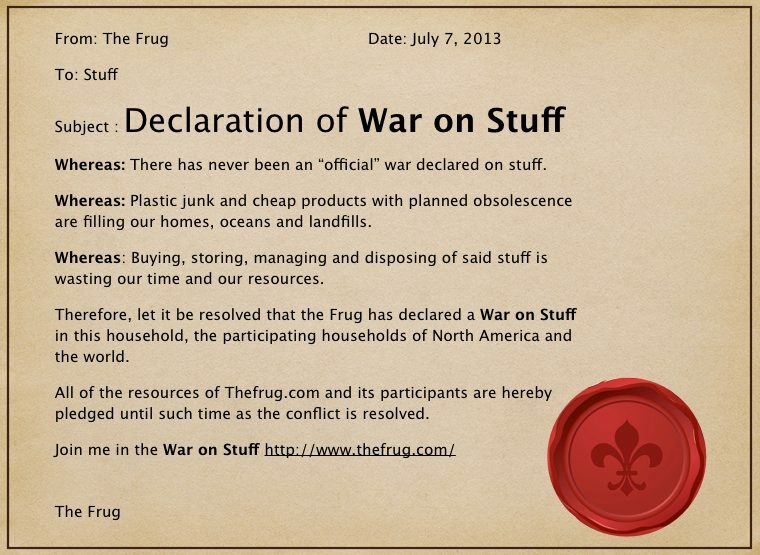 I’ve been working on this for years and I want to encourage people to join me in the War on Stuff . I also want to share everything I’ve learned in my long journey towards a lean lifestyle. So, what am I going to be talking about? Mostly, this blog will be about improving your personal economy and enjoyment of life through living lean, working lean and traveling lean. Many personal finance blogs spend a lot of time focused on the economy, the stock market and the general insanity of the day-to-day world of finance. That’s not for us. We know we have no control over that and most of the advice is contradictory or flat out wrong. My goal is to guide you towards financial independence so you can be free from worrying about the news, the market and your 401K balance.